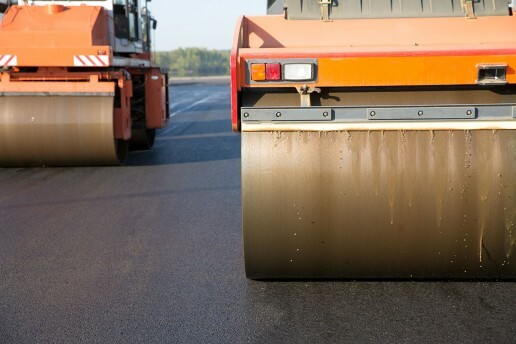 Asphalt Sealcoating Services Company Santa Cruz & Monterey CA - Watsonville Grading & Paving, Inc.
Are you looking for asphalt services in Monterey and Santa Cruz County? At Watsonville Grading & Excavation we are one of the leading asphalt services in Monterey and Santa Cruz County. Contact us today for your asphalt sealcoating, striping and ADA upgrades and repair needs. Our asphalt sealcoating will extend the life of your driveway or pavement, save you money, and give your premises a makeover. Many Santa Cruz County and Central Coast residents are finding that sealcoating not only prolongs pavement life by protecting it from the elements for years. It also enhances its appearance — and saves the owner money in the long run. 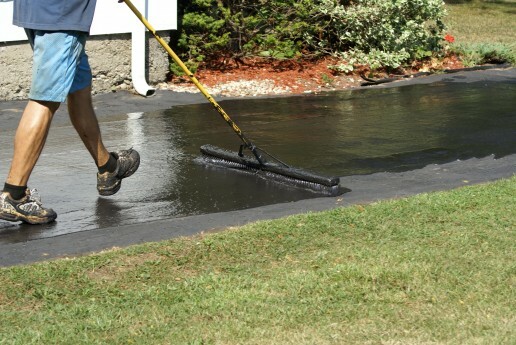 Think of it as an essential maintenance tune-up for a driveway, parking lot or other blacktop surface. If it has been more than three years since a sealcoating was applied, another asphalt sealcoating should be considered. Doing so will ensure that the preventive maintenance benefits of sealcoating are applied at regular intervals. We are the leading experts in asphalt sealcoating in Monterey and Santa Cruz County. An asphalt parking lot is generally considered to have a life of seven to eight years without any form of maintenance. This depends on the degree of traffic that it carries and its exposure to damaging weather. Over that time it will stand up to the traffic for which it was designed. After about eight years it will show signs of distress and will probably start breaking up. Home driveways may last as long as 10 to 15 years without being maintained. During that time erosion will steadily build up and cracks will develop. The driveway will significantly deteriorate. Regular applications of sealcoating can extend the life of such asphalt surfaces for far longer than without such protection. When asphalt sealcoating is not applied, the surface will need to be repaired whenever cracks or damages appear. Hairline cracks usually appear in the first year or two of the asphalt’s life. It can steadily grow to larger cracks. The repair work often needs to start not long after the blacktop is first laid down. As the damage spreads, repairs will need to be conducted regularly and, with them, costs will continue to rise. Eventually, the pavement will have to be replaced or overlaid with a completely new surface. In contrast, regular sealcoating makes such repairs less necessary. The costs of the sealcoating are less than would be needed for regular repairs and eventual replacement. Without sealcoating, the cracks that inevitably develop in asphalt become filled with water, oil and other materials. This causes the cracks to become larger and larger over time, and damage the original material as they seep down into it. At times of colder weather the water can freeze in the crack. When the ice thaws, it expands and causes major damage to an asphalt surface. Continual contraction and expansion over even a short time can cause extensive harm. Asphalt sealcoating is waterproof, covers such cracks, and therefore sharply reduces the chances that water will enter the cracks and cause the asphalt to deteriorate. It also stops the surface suffering from the effects of oxidation and erosion. In addition, the coating resists oil and other chemicals that spill on the asphalt and that can damage the original surface. In times of hot weather on the Central Coast, a parking lot, driveway or other asphalt surface will be protected. Sealcoating protects your pavement from the harsh effects of the sun. The sealant reduces the exposure to ultra-violet rays. 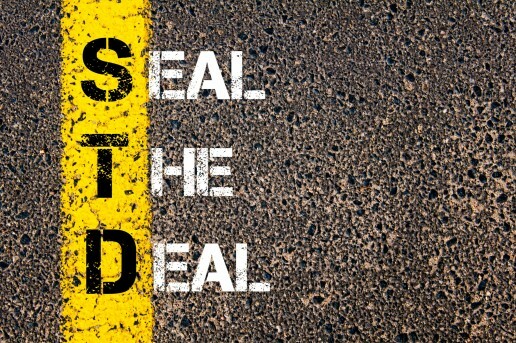 The sealant is highly resistant to oil, gas and chemicals. It also reduces the degree to which they can penetrate the asphalt and cause damage. Sealcoating adds a deep black surface to asphalt that might have become rough and discolored over time. This can make it look as though the surface has been newly laid. The darker surface makes painted lines, directions (such as arrows), and large letters stand out more clearly than on the original asphalt. The sealant, therefore, reduces the intervals at which repainting is required. Applied correctly, a sealant makes the pavement look cleaner, too. Rain easily washes dirt and debris off the resilient surface. The new, fresh look is similar to the impression gained when repainting a house or a business. It improves the overall appearance of the premises. Not to mention, sweeping the surface is easier when a sealant is applied. 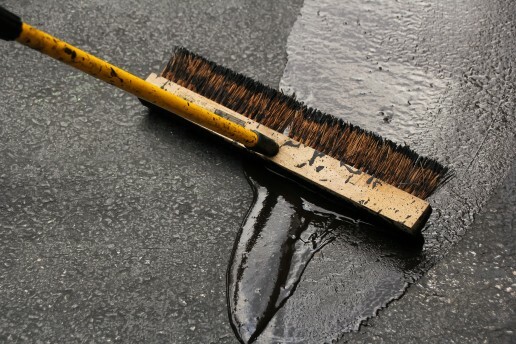 Spills can more easily be removed and the surface can be hosed down to remove dirt, restoring the clean black surface. When Should You Sealcoat Asphalt? The best time to have your pavement sealcoated is within the first year of your new asphalt’s installation. Our experienced team can work with you. We will determine the best time to sealcoat your parking lot or driveway in order to provide the best protection. Contact us for all of your asphalt services in Monterey County and Santa Cruz County. Let us protect your Monterey and and Santa Cruz property by providing an excellent sealcoat that is done the right way.